Online sleuths have discovered that the cyclist involved in the viral altercation with a lorry driver last month is a British national who came to Singapore in 2011, without a job. 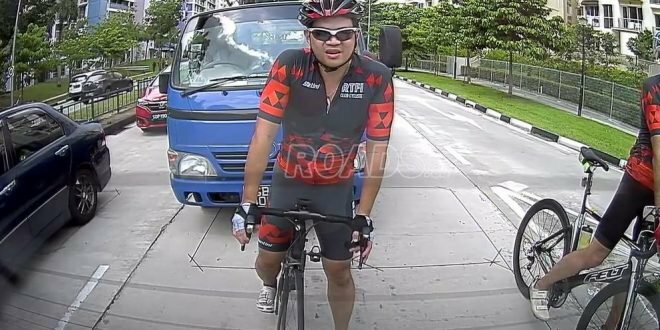 The expat, 35-year-old Eric Cheung Hoyu, gained infamy last month when a video of him cycling on the middle of the left-most lane of a road in Pasir Ris went viral. In the video, Cheung can be seen provoking a lorry driver by knocking off the lorry’s side mirror with his hand. The lorry driver then collided into Cheung. Several netizens responding to the video felt that while both the lorry driver and Cheung are at fault for the collision, Cheung got his just desserts since he arrogantly provoked the lorry driver. On Wednesday, Cheung and the lorry driver were charged in court. Cheung was accused of causing mischief since he knocked off the lorry driver’s side mirror with his hand. He has also been accused of breaching traffic rules and obstructing faster-moving vehicles since he cycled in the middle of the left lane, blocking other vehicles. The lorry driver, 57-year-old Teo Seng Tiong, also faces 2 charges. He has been accused of causing hurt to Cheung by failing to keep an eye while overtaking him and of failing to make a police report within 24 hours of the accident. While the lorry driver said that he is prepared to plead guilty, Cheung asked for the case to be adjourned so he could discuss the case with his lawyer. The court further approved his request to leave Singapore from 17-22 Jan so he could attend a planned family reunion in Hong Kong. Both Teo and Cheung are due to return to court on 30 Jan. In the meantime, curious netizens online have discovered that Cheung is a British national who came to Singapore in 2011 without a job before he was given a work pass to work as an event manager here. 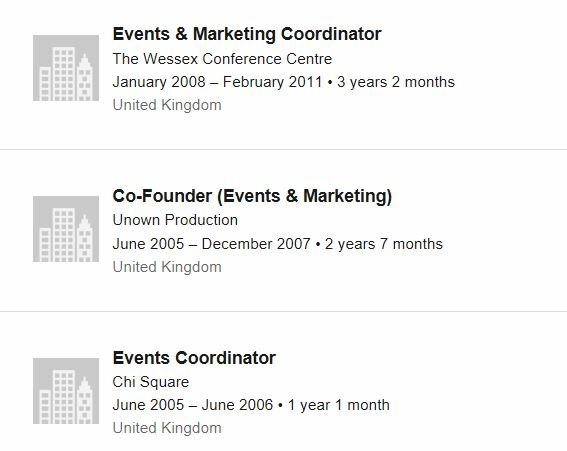 According to Cheung’s LinkedIn profile, he graduated from the Southampton Solent University and worked in the United Kingdom as an event and marketing coordinator at 3 organisations from 2005 to early 2011, before he moved to Singapore. “In 2010, I was getting bored with my job (in Wessex Conference Centre). No satisfaction, no ladders to climb and spoke with one of my older cousins who dared me to move countries. So in 2011, I moved to a new country, starting a new life, taking that leap of faith moving to Singapore without a job and starting from scratch. “I found my new career in the hotel industry joining the likes of St Regis Hotel for one year and Shangri-La for four years. With that, I was given an internal opportunity moving to Hong Kong with Shangri-La totalling 5 years of service with them as an Event Manager.